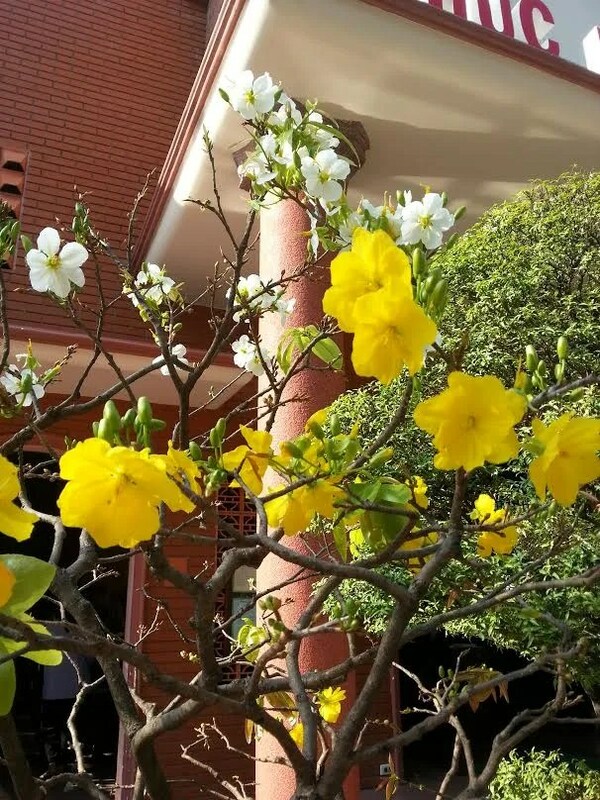 Saigon Spring Flowers | Hello Saigon! 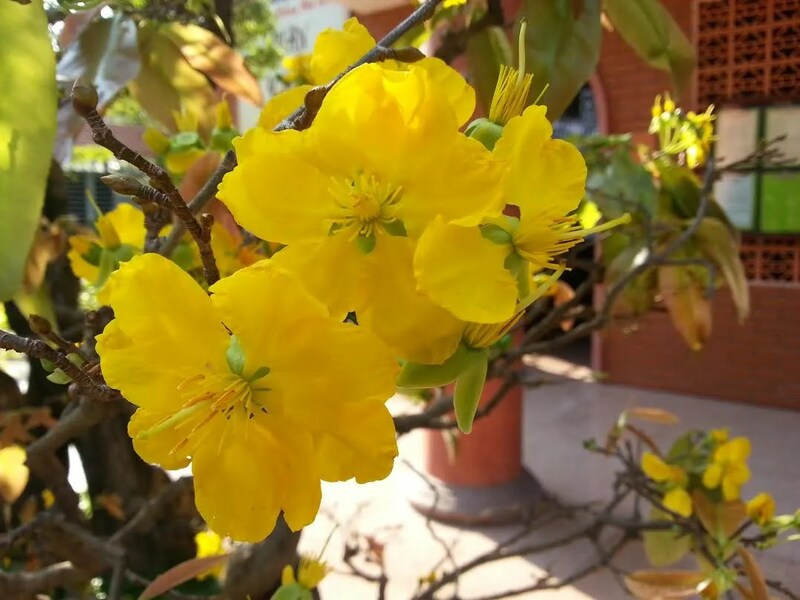 I love South Vietnam’s spring flowers called Ochna integerrima according to Wikipedia. Or the hoa mai in Vietnamese or the English Mickey Mouse plant. Just found this odd bloom as it has white and yellow in one branch. During Tet, they’re all over the place! 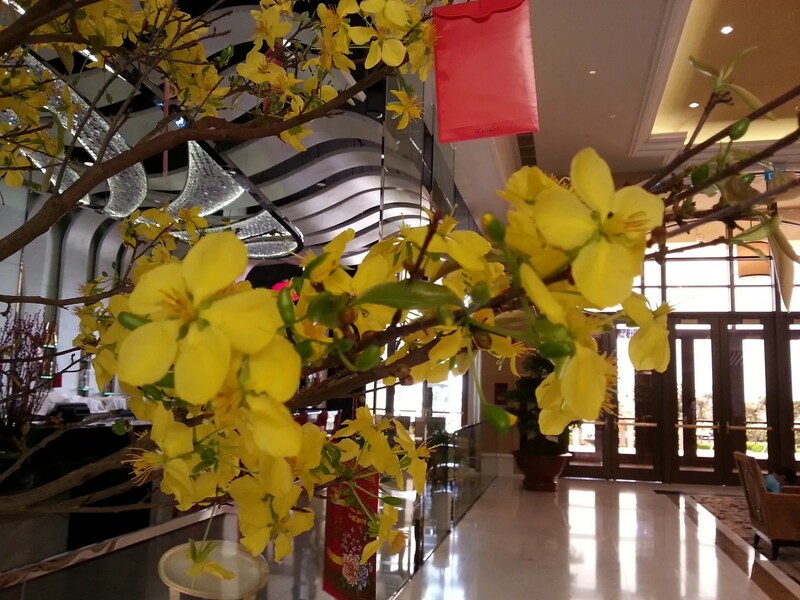 If it’s Christmas trees or pines for Christmas, it’s these beautiful blooms for the Vietnamese Lunar New Year. In the North, its the pink blooms. Those are pretty as well! We don’t see much of those down South. We should definitely get a plant for next year! This entry was posted in Exploring Saigon and tagged English Mickey Mouse Plant, hoa mai, Lunar New Year, ochna integerrima, Tet, Vietnam. Bookmark the permalink. Hi there, Thanks for these lovely pictures. 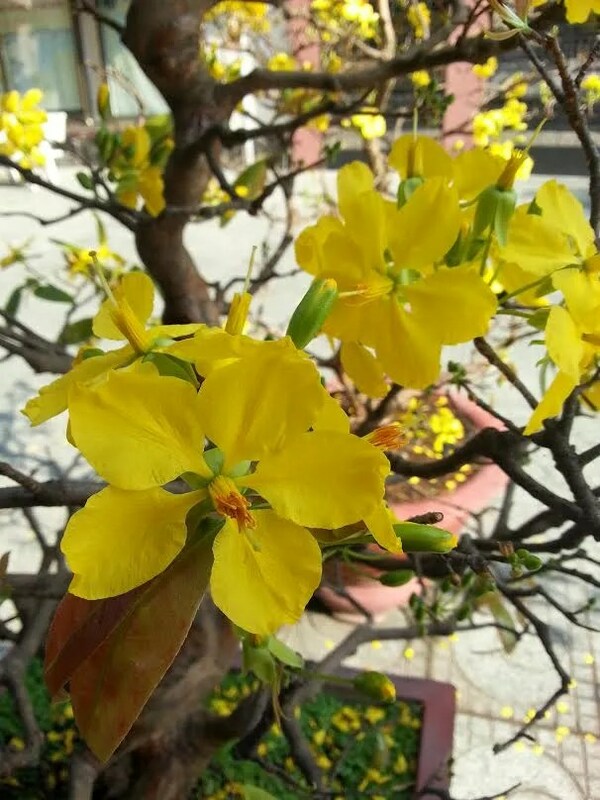 We live in Singapore but my Vietnamese husband planted 3 in our garden. There are different varieties. There’s the 4 season mai which has yellow flowers and then green fruit, red capsules and black seeds. There’s also the double-petalled one with 10 petals instead of 5. And my friend has an almost orange “saffron” colored ones. 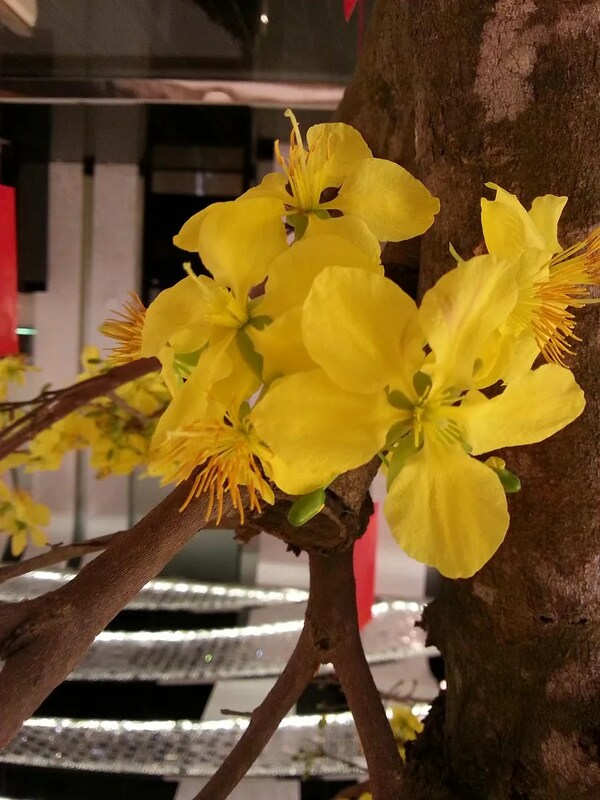 I know that in Saigon you can send your mai to a “mai nursery” and they trim it and everything and send it back to you in time for New Year all ready to bloom. Pity we don’t have that here. 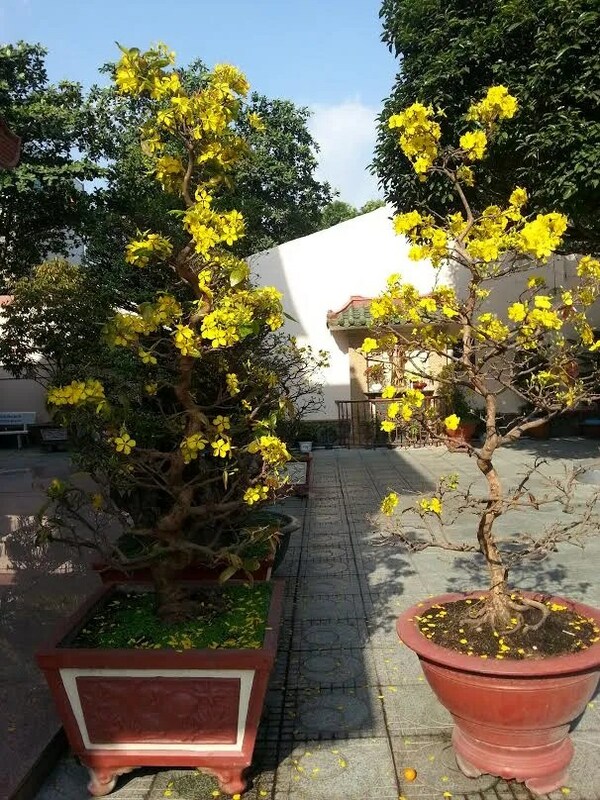 We got some blooms but nowhere near what we see in Saigon.